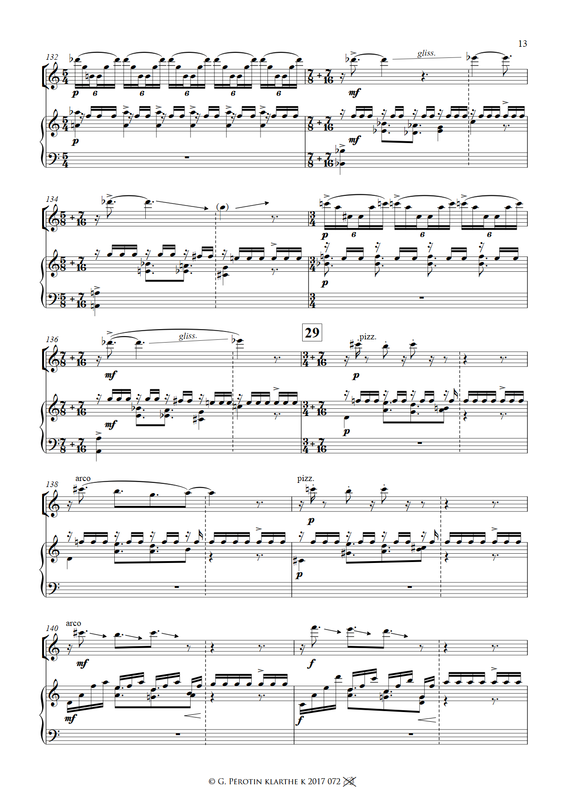 This work consists, as the title suggests, of a duo for violin and marimba, composed on a continuous rhythmic base, with heavily accentuated strong beats punctuating short, irregular and perpetually changing intervals. This is a style little used in traditional occidental music, which most often uses a regular rhythmic base: bars with two beats for military music, three beats for a waltz or four beats, excepting certain greek or celtic music where one can find bars with five beats (3 plus 2) or seven beats (4 plus 3). But here, the different bars follow on from each other and fuse continuously, giving the piece a voluntarily unstable and jerky character, like the aleatory bursting of floating bubbles. It is the violin which first introduces this rhythmic continuo before it is taken over by the marimba who, from then on, holds the role until the end. 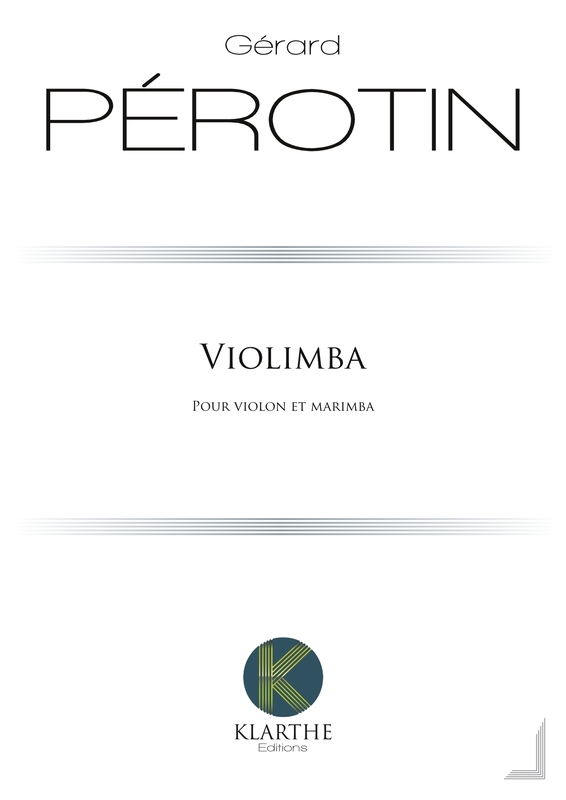 This creates a nervous, electric atmosphere, which is broken up from time to time by a few calmer moments where the violin sings freely, before being carried along by the rhythm of the marimba right until the very last chord.